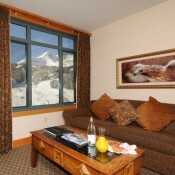 The Summit at Big Sky offers premium lodging with an unbeatable location in the heart of Mountain Village. This luxury 10 story complex offers units ranging from hotel rooms to 4 bedroom penthouses all with the conveniences of a full service hotel including valet parking, concierge, nightly turndown, room service, daily housekeeping, and an onsite front desk. The first two stories at the Summit feature the reception area, concierge, meeting facilities, indoor/outdoor soaking pool, restaurant, bar, shops and a fitness center. 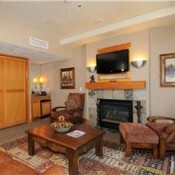 Staying at the summit combines exceptional service, prime location and exquisite accommodations. 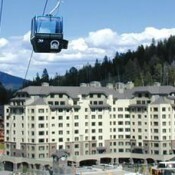 One Bedroom, 2 bath - Add $110 for unit with hot tub. Reviews are provided from our clients and Google Places. Please note in many cases, particularly condominiums, units are individually owned and decorated and in many cases, multiple management companies may provide services. Review content specific to the interior of a condominium or experiences with front desk staff may not be applicable. 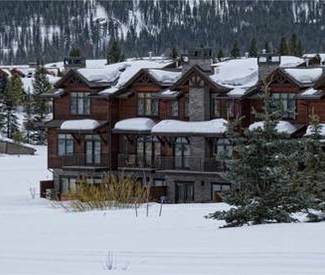 Fabulous on slope accommodations with a humongous outdoor hot tub with drinks delivered right to you! Great food in the Caribiner, terrific valet ski service. Beautiful suites with kitchens available. 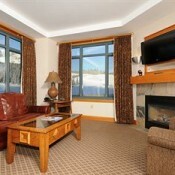 Convenient to the mountain, lifts, ski valet; great Wifi all over the resort. Enjoying our stay. Kind helpful staff. You will love skiing here.. 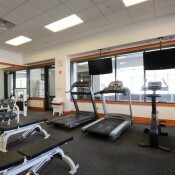 Awesome hotel with great employees they are all so friendly and quick to respond. 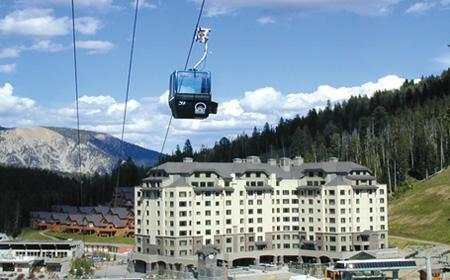 I recommend staying here for your family vacation it is right on the slope and has some of the best restaurants in town. Right on the slope ski in and ski out. Not to mention the bar men/ bar bells at the front are amazing and some of the most friendly people. They give great honest reviews and are always willing to help out. I honestly enjoy talking to them every morning they are very down to Earth. The hotel though should be buying there cowboy hats tbh they deserve it. Bar also is fantastic get Joe or Casey they are super friendly and amazing bartenders!